Tuesday Challenge – Bunny Template! Create art using this bunny template created by Suzanne Cannon of Quietfire Design. What a fun template! I couldn’t resist this challenge and have been enjoying all the other entries so much! I made a royal bunny, Princess Roxanne. Not sure if it is the final version yet or not. Enjoy! Urgh….had it done last night, but only took a pic this morning! But regardless, here is my bunny!! p.s everyone did a fantastic job on their bunny creations, it was very inspiring! Sign up for the free Weekly Projects, Journal Prompts and Product updates! By taking part in our challenges you are giving Created Byhand permission to feature your work in a sampler. All creations that are featured on this blog are for inspiration only and copyright belongs to the individual artists and/or product manufacturers. 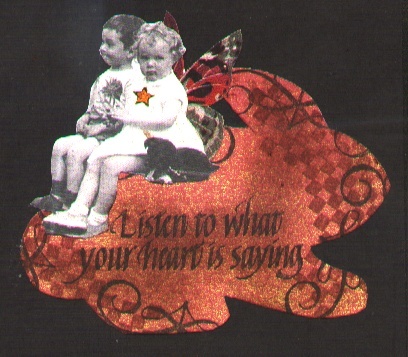 Share artwork you've created using Quietfire Design Rubber Stamps! Visit the Quietfire Project Gallery!